This is a lovely mountain home, beautifully decorated with comfort and relaxation in mind for you and a few of your friends and family. Don't forget your fur babies. 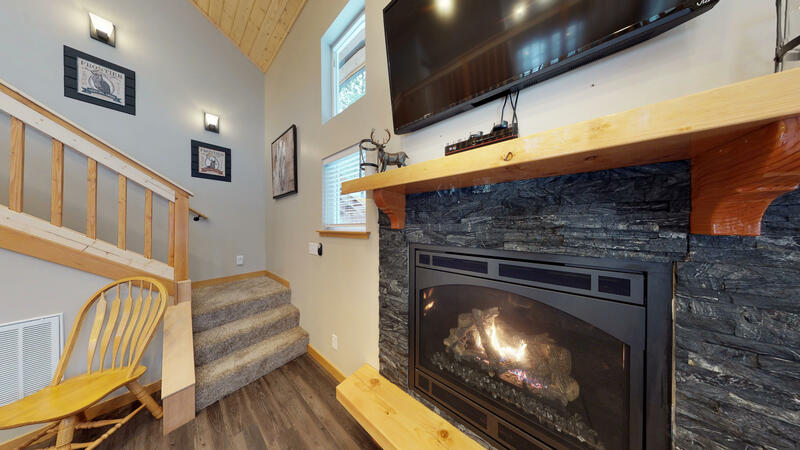 You will be greeted by our "Compass Rose" and welcomed into a main entry where you can remove your shoes, out of the weather, before making your way into this cozy and peaceful getaway. 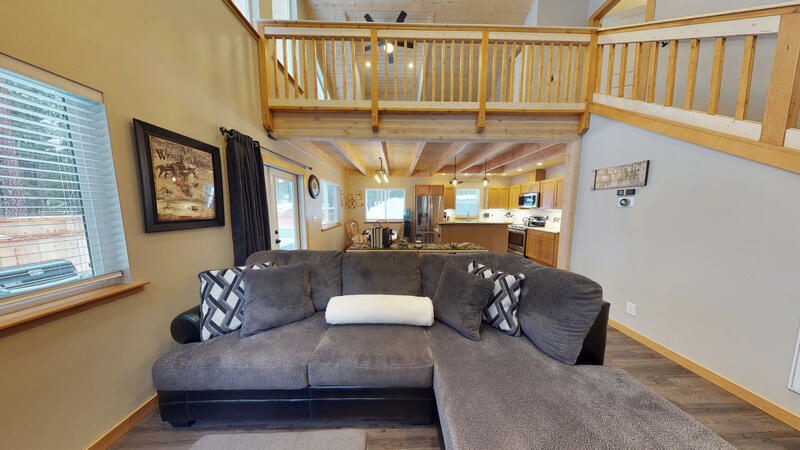 Main floor is an open concept living, dining and cooking space where you can enjoy time together and offers a main floor bedroom (queen bed) and full bath (heated floors), as well as a laundry room. Ample space to enjoy meal preparation and a memorable family meal. 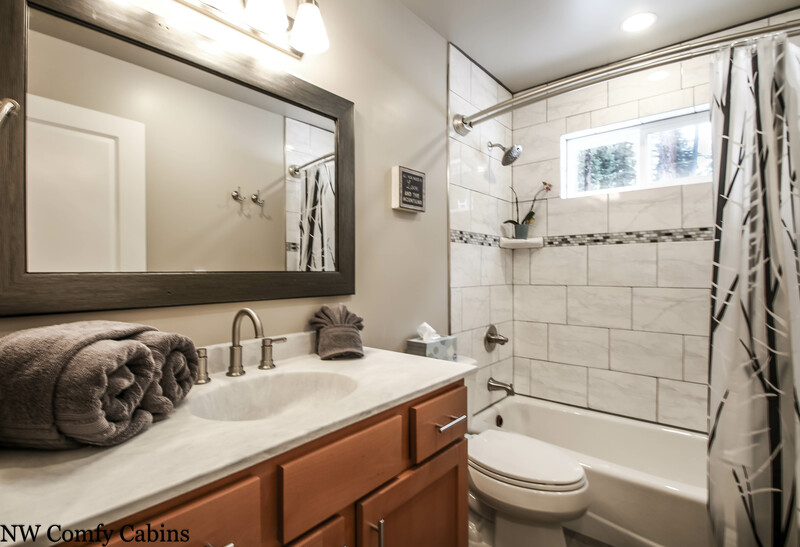 Second floor has another private room with 3 piece en suite master bath (large shower and heated floors) and room to stretch out and be peaceful and alone. 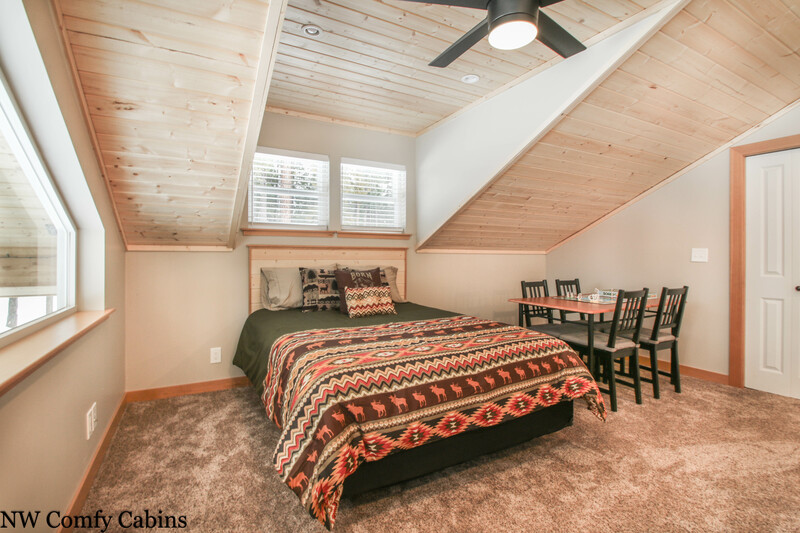 There is also a loft area with 4 seat table for games and a queen bed. Plenty of room for kids to play as well. 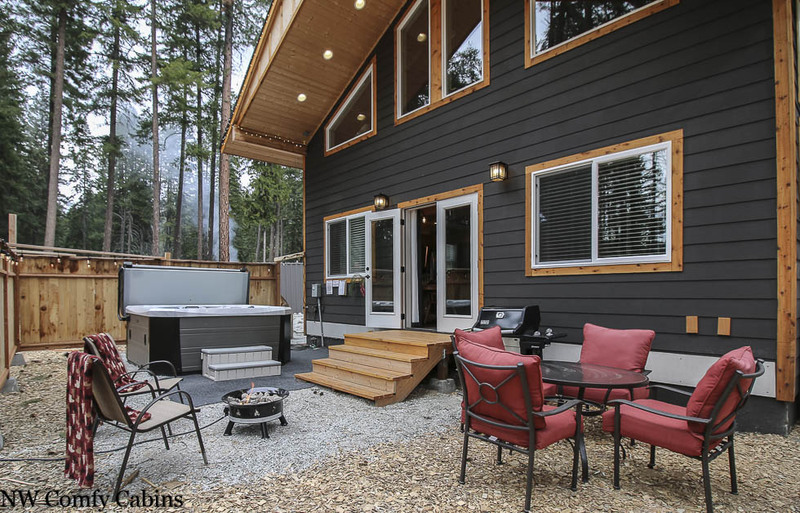 The owner has put in a lot of extras in this home that will enhance your stay such as radiant floor heat, wine cooler, propane grill, outdoor private hot tub with ambient lighting and much, much, more. 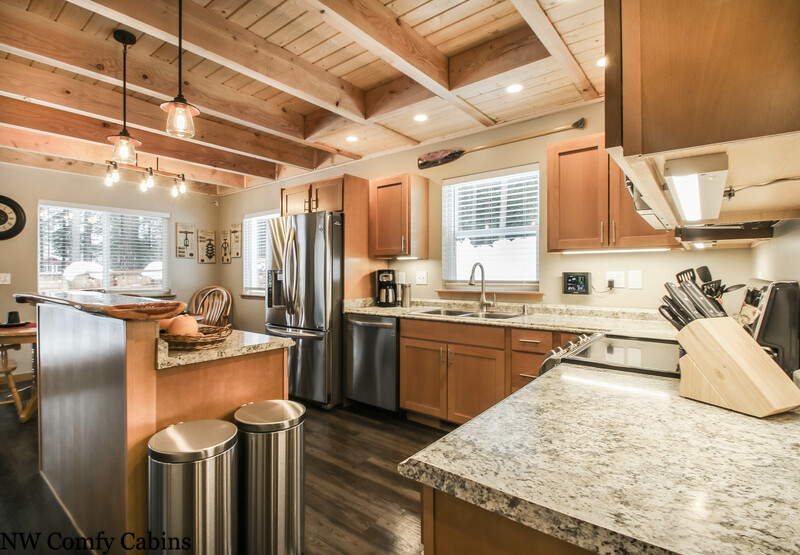 Look forward to having you at the Compass Cabin. Additional fees include a Housekeeping Fee, a 5% Resort Fee which covers credit card fee and property for up to $1,000 for accidental/unintentional incidental damages. Willful and negligent damages are not covered under the Resort Fee and will be the sole responsibility of the contracted guest(s). State and Local Lodging Taxes are also applicable. We had a great time at this rental. 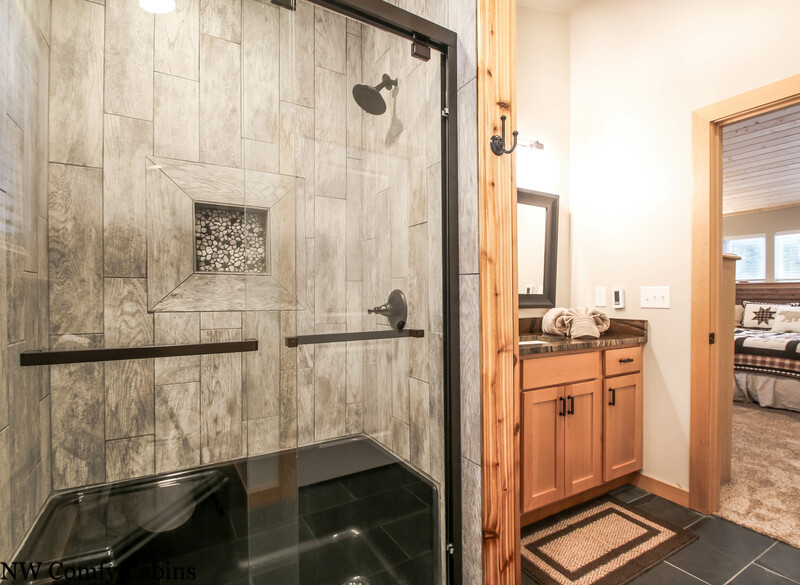 We especially enjoyed many of the high end features (who doesn't enjoy heated floors after a long day of hiking?!?) and the comfortable touches. We had a small issue with the heat the first night and it was handled so quickly and professionally, props to that! Very comfortable place and I'd highly recommend it. 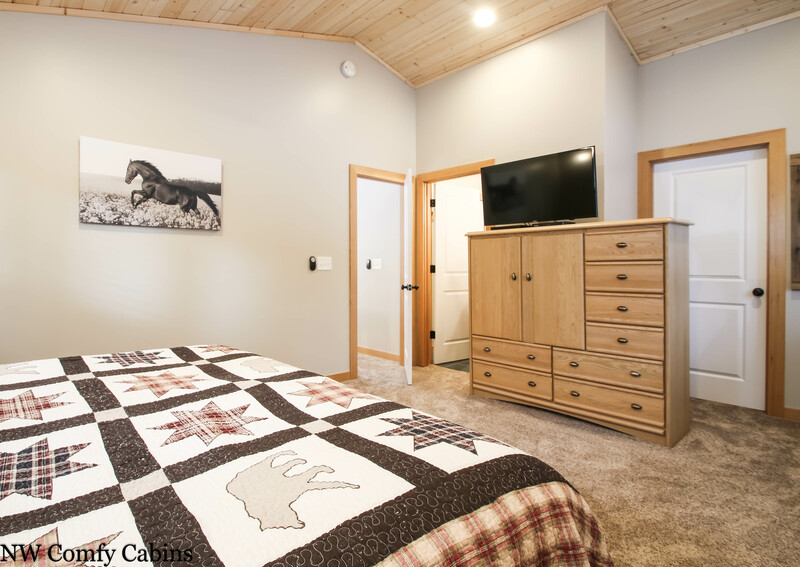 Manager response on 2019-03-20 - Response from NW Comfy Cabins Inc. Thank you for your comments and for allowing us the chance to get things fixed for you. 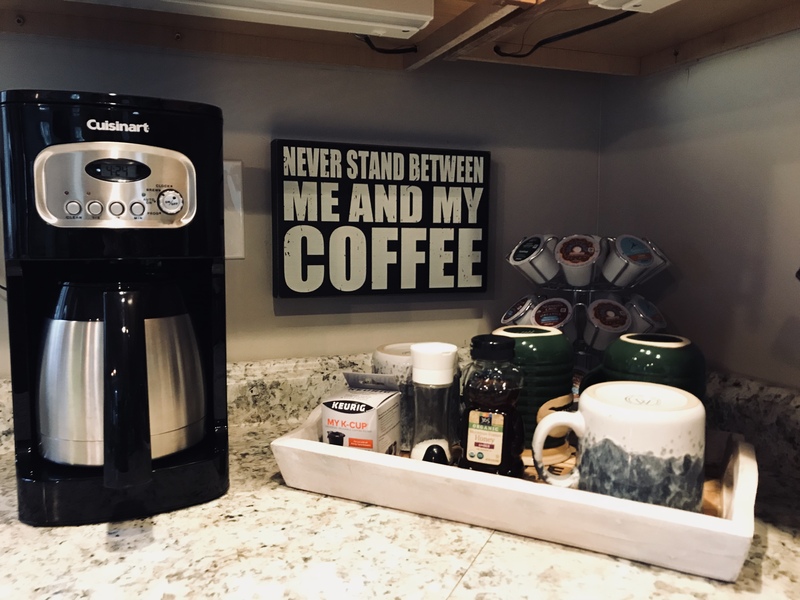 There is never a good time to have something go awry, but we were lucky to be able to get them there quickly and to get you guys comfy and cozy for the rest of your stay. 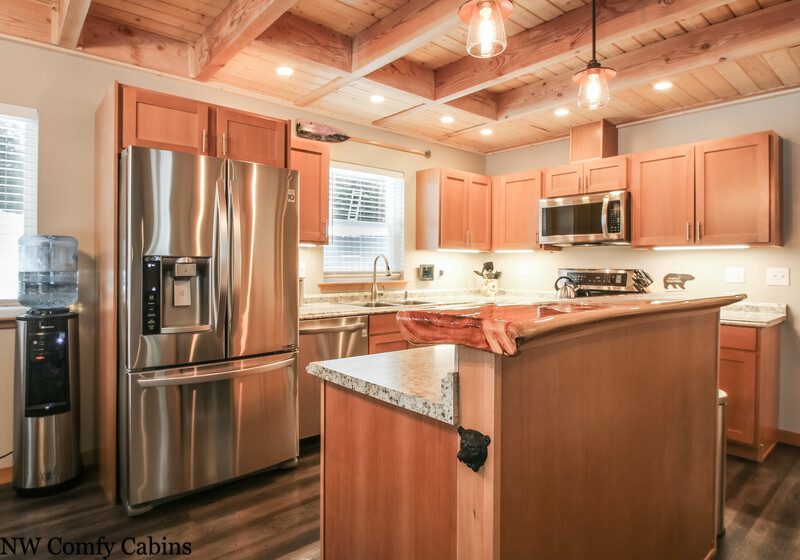 This owner is very active in making the cabin the best it can be for his guests and we appreciate that like I know you do. Please come back any time and thank you again for being our guests. We came out to relax for a weekend away before our baby is born - had a great time! The house was immaculate and a lovely care package was waiting for us. Spent some time tromping in the snow and on the couch watching several of the many movies in their collection. Thanks for a great weekend! Fantastic to hear you enjoyed your stay and we hope that your 'pre-baby' getaway was a great memory. We hope you will return with your bundle of joy and share those moments as a family as well. Best of luck to you as your family grows. Amazing Getaway! Fantastic Location!Classy, Casual & Comfortable! We really enjoyed our stay at the Compass Cabin. The house is brand new and very well thought out. 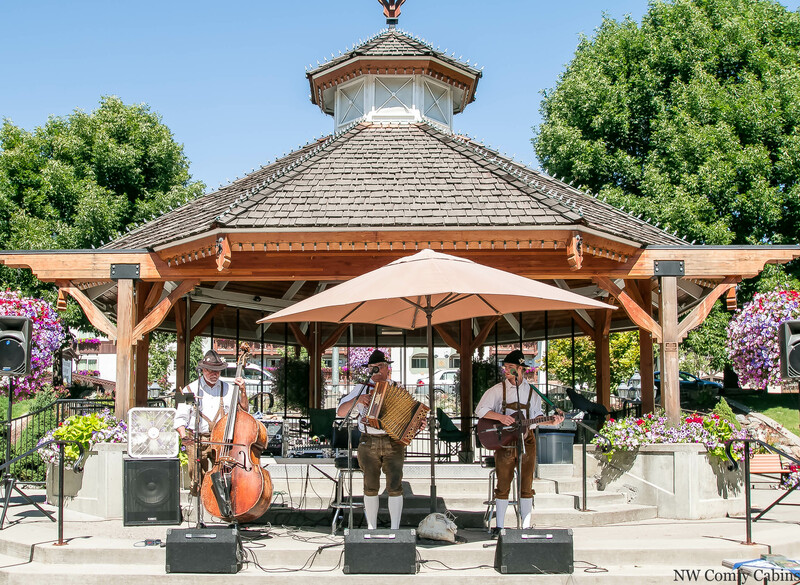 It was a bit out of the way for Leavenworth but the drive wasn't too bad and the location worked for us. It was close to the highway but not so close that road noise was an issue. The beds were very comfortable and we loved having the hot tub. Would definitely stay here again. Thank so much. 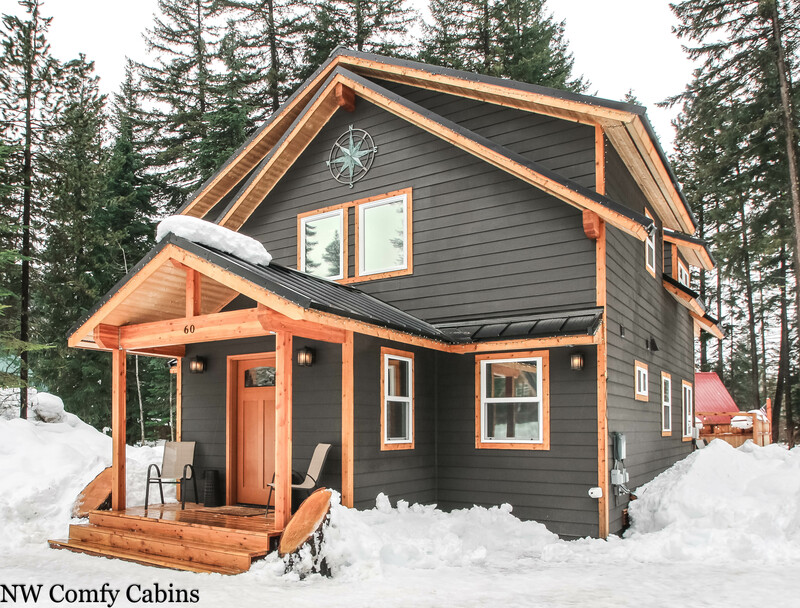 This owner takes great pride in making this cabin the best it can be. He did the most amazing job on his holiday lights and decorations this year. Please come back and stay with us again. 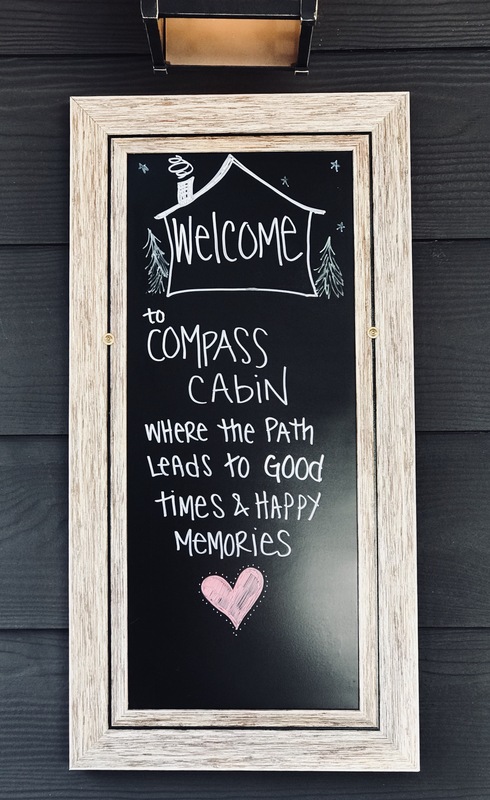 Compass Cabin was absolutely perfect for our stay! We had 2 couples and 1 single. The rooms were spacious and the spaces were perfect for 5 people (and it would've worked with 6). The Cabin was perfectly clean and stocked with everything we could need (namely a wine bottle opener and oven for the frozen pizzas!). 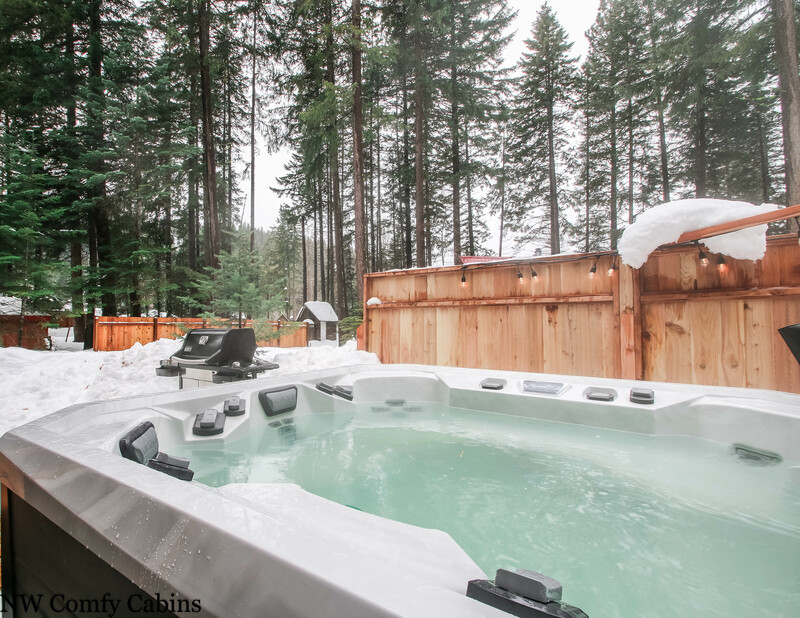 The hot tub was great since we were visiting to have a ski weekend @ Stevens Pass. Less than 20 minutes from the resort made it all worth it! Definitely coming back! 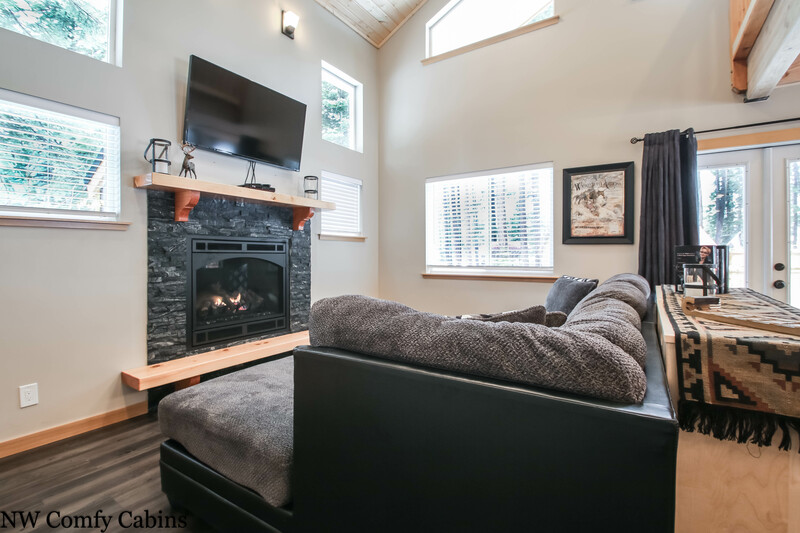 Manager response on 2019-01-31 - Response from NW Comfy Cabins Inc. Thank you, thank you, it is so nice to hear how people enjoy their cabin experience. 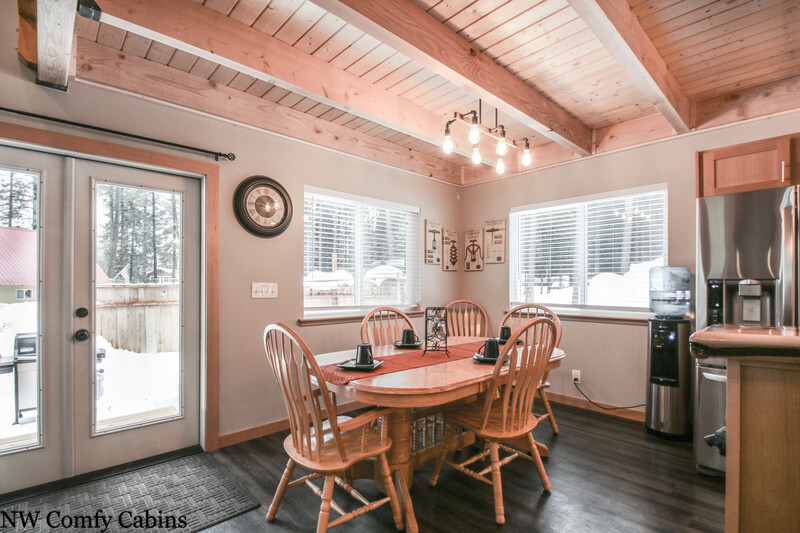 The owner of this cabin has put his heart and soul into the cabin and all of the special touches and it is so nice to hear that you enjoyed all aspects of this lovely cabin. We would love to have you back to dont forget to book directly with NW Comfy Cabins to get your return guest discount. Such a great cabin! 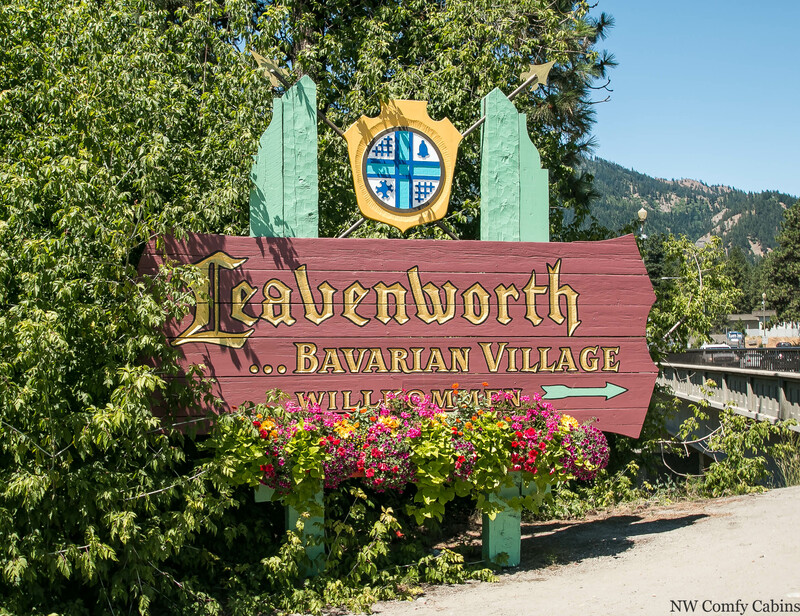 Perfect location - right off of Highway 2 and a short drive in from Leavenworth. House was beautiful and had EVERY amenity that you'll need for a great stay. Perfect home for a girls weekend or a romantic weekend getaway. We'll absolutely be back!! Very nice time at the cabin, plenty of space and nice accommodations! We will return! Thank you for your comments. We have added two more hairdryers, they did seem to grow legs and walk away but the owner has replaced them. Glad you had a nice stay and we hope to have you back again soon. 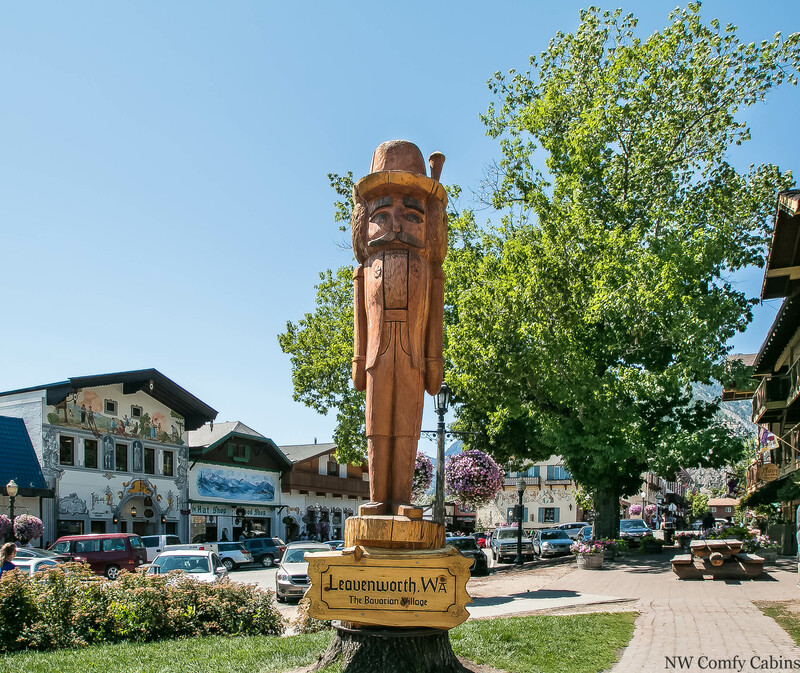 Wanted a relaxing getaway for family in close proximity to Leavenworth. Compass Cabin was certainly nice accommodations and well-equipped. We had a great time and enjoyed the air conditioning to get a break from the 98 degree heat! Very happy that your time at the Compass Cabin was a good one. 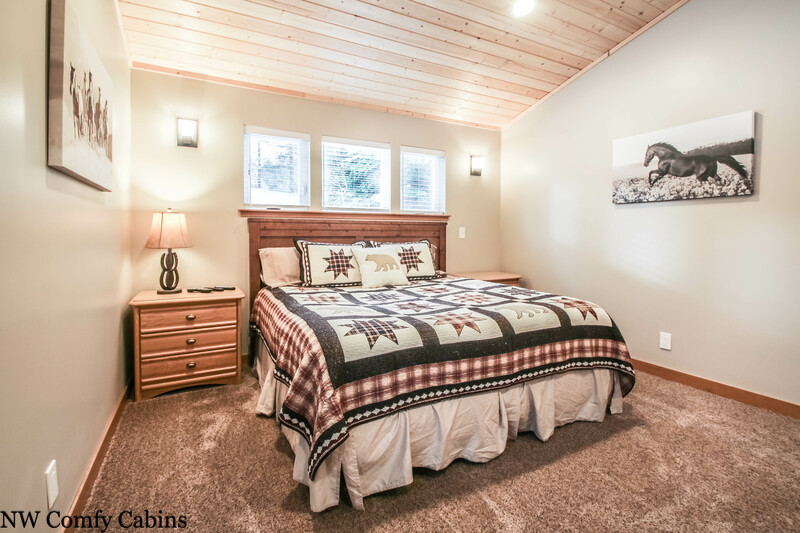 The cabin is a very nice place for a getaway and we are thrilled you enjoyed your stay. Thrilled with our choice to stay at this property. Everything was as described and the special touches made us feel spoiled during our stay. Everything is brand new and of great quality. 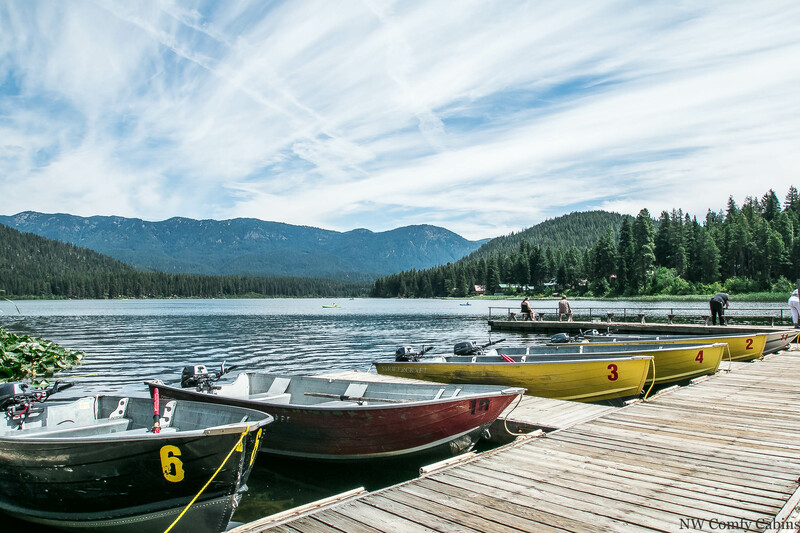 Location is prime for summer activities but honestly you don't even have to leave the house to have a wonderful relaxing stay. That is great news to hear you enjoyed your stay and appreciated all the touches that this owner has added for the comfort and pleasure of his guests. Thank you for your kind words and we sincerely hope you will come back and stay with us again using your return guest discount. This cabin was a dream to stay in. It was bigger than we needed (3 friends in the area for a wedding). Kitchen was great, living room very cozy, and the hot tub was perfect after a long day. 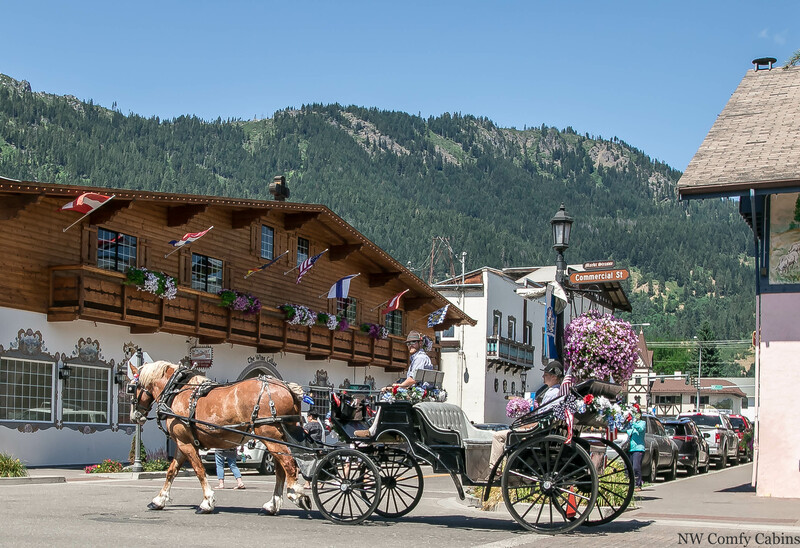 Close enough to Leavenworth which we visited many times. Highly recommend! Thank you for you comments. 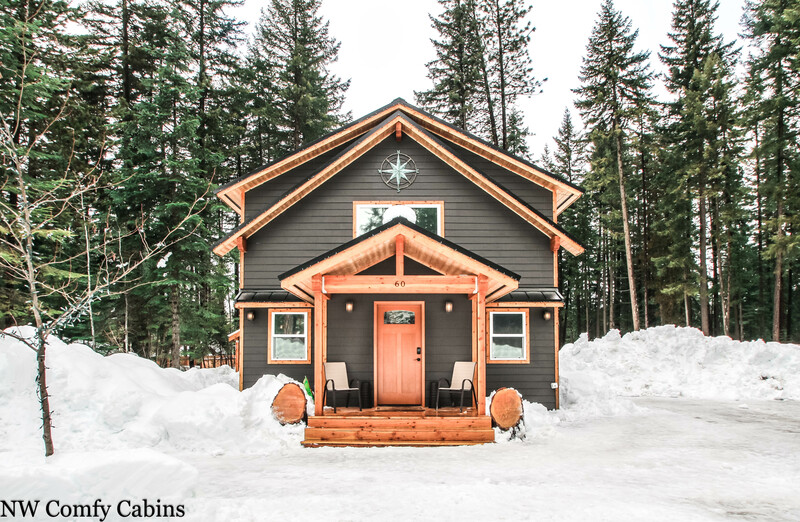 This is a truly lovely cabin and the owner has most definitely put a great deal of effort into creating a really remarkable and memorable home to share with his guests. He continues to make it more and more cozy and his ideas for creating a wonderful getaway continue to surprise us. I hope you will come back and enjoy all the many things that we have to offer in the area. What a ball. This place is great! If you don't stay here you are missing out. Kitchen had everything we needed! Entry was easy! BBQ onsite and a hot tub!!!! The place was very very clean! I give this joint a million thumbs up. We will be back. PS; worth the 14 minute drive from Leavenworth. You are so kind and your words are very much appreciated. 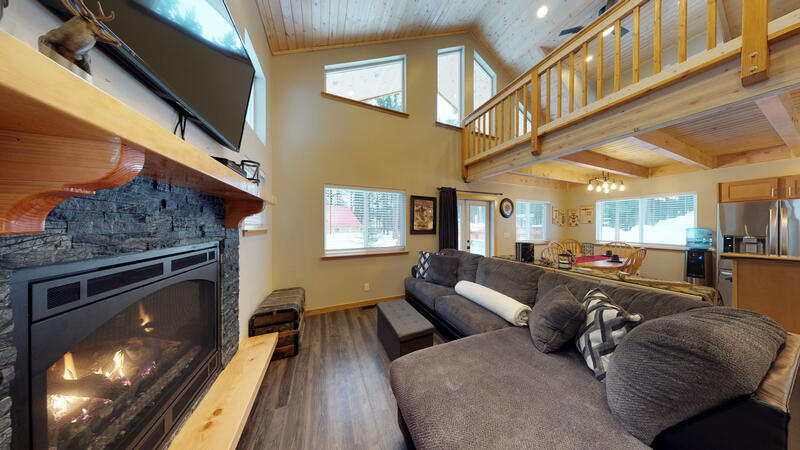 The owner of this cabin has put a great deal of effort into making the cabin a wonderful experience for all guests. Thank you for sharing your experience. We hope you will be back and use your return guest discount. We appreciate you and thank you for staying with us. One of the nicest cabins I’ve been so far at. My wife and I came here for our 2-year anniversary and we loved it. I think the pictures due Justice because of how great the place actually looked and from the pictures, and it was good in real life as well. I’d highly recommend the place as whole. The internet and cable aren’t the greatest as it has poor service. The tv sometimes would come off as we were watching Netflix and internet is poor that you can still use it but don’t expect it to be fast at all. I mean it’s expected as you’re in Leavenworth where service isn’t the best. But for us the getaway wasn’t in need of much of that so we enjoyed it a lot. Thanks to the owner for keeping in a great condition. We also had our 10 month old and it was very accommodating for our baby. Thank you for the high chair. The hot tub was great for relaxing as well! Overall just awesome! We are so happy to hear that you had a wonderful stay and that your baby was comfortable as well. The wifi can be slow in our area, we were lucky to finally have some access to it just recently, yet it is not as high speed as some people may be used to. Hopefully that will improve over time, but fortunately, we do have it and are grateful for that as it took so long to reach us. We are always pleased to know that our guests appreciate and enjoy the accommodations. The home is very comfortable and we are very glad that was your experience. We hope to earn your future stays and that you will come back and enjoy our area once again. What a fantastic cabin. We had the best time and didn’t end up doing any of the things we thought we would do because the cabin was so amazing we hated to leave it. Everything you could ask for and so beautiful. Even our dog was welcome and enjoyed her stay. 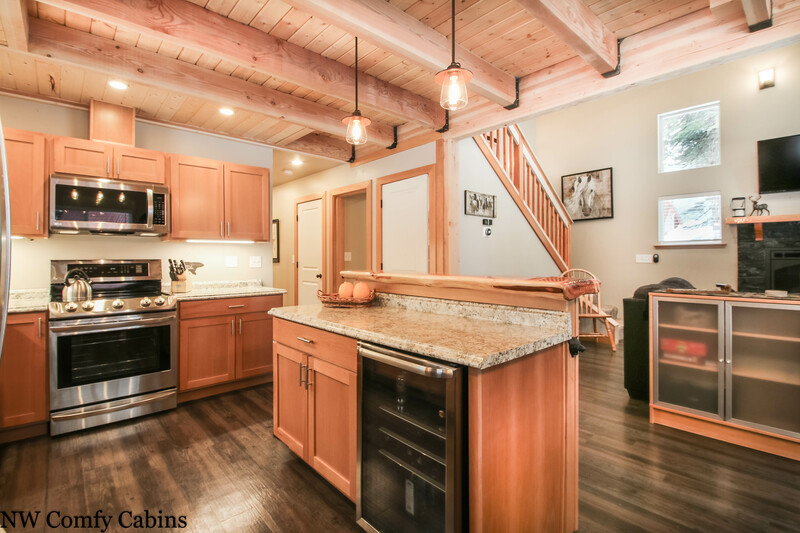 Attention to detail and a welcoming feeling in every part of this cabin. We cannot wait to come back with other friends and make this a bi annual spot. We are excited to come back for summer now. Thank you Comfy Cabin’s...you made this a wonderful experience. 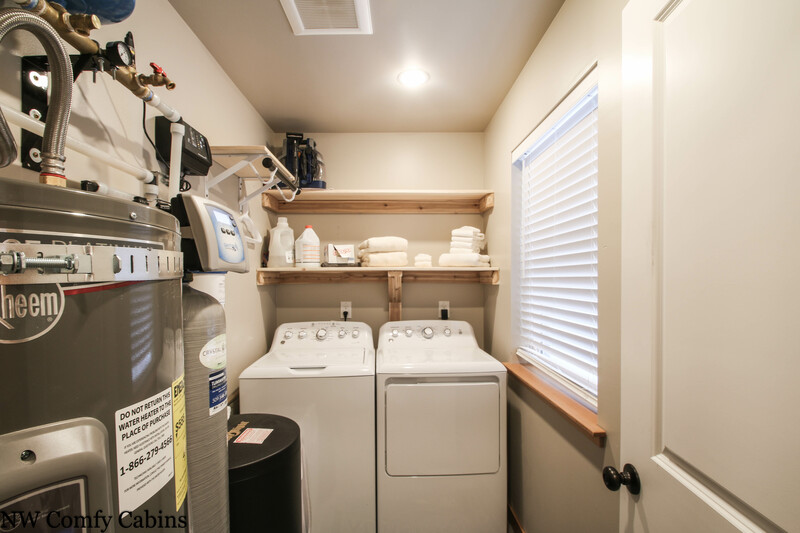 Manager response on 2018-04-12 - Response from NW Comfy Cabins Inc. So glad to hear that Steven. You and your doggie are always welcome and I hope you had a chance to toss a stick along the river for your pet. 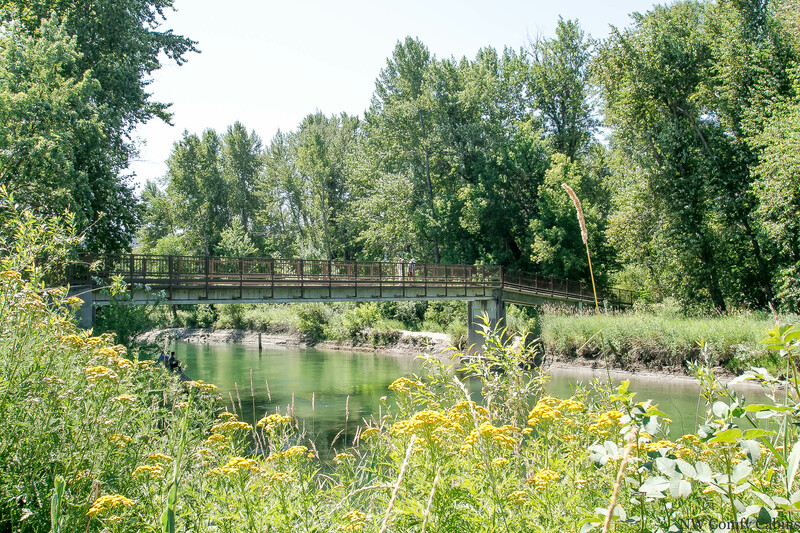 The Nason creek, just across the road, is where we spend many hours playing with our fur babies and our nieces and nephews now, but our children loved that spot as well. Hope to have you back again soon. What is there not to love about this cabin. 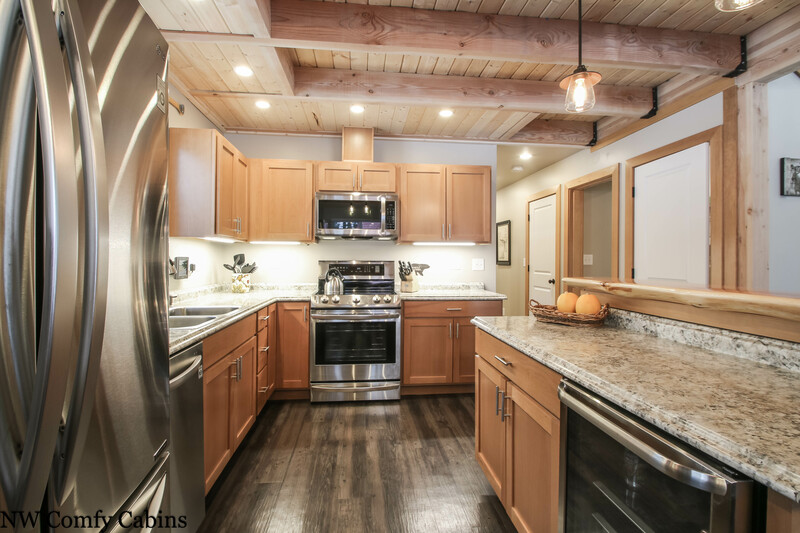 Gorgeous new cabin with state of the art finishings, relaxing craftsman environment and cozy layout. 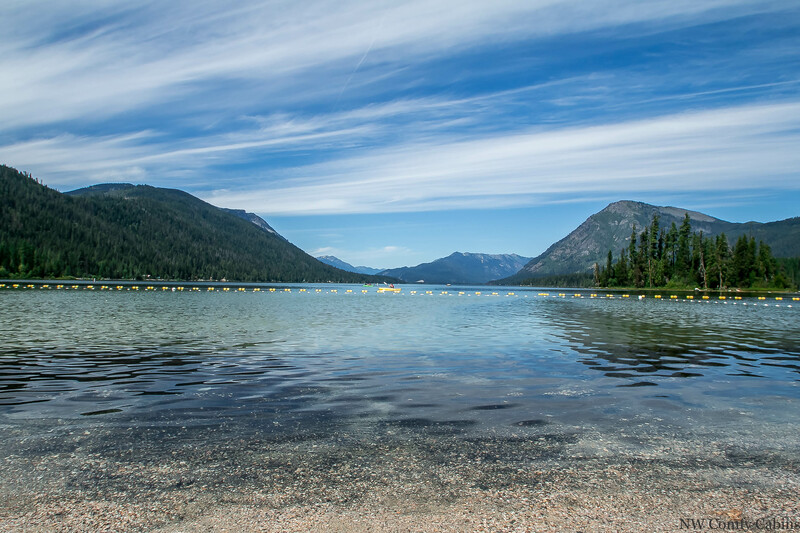 Close to hiking , the lakes , Stevens pass and Leavenworth. 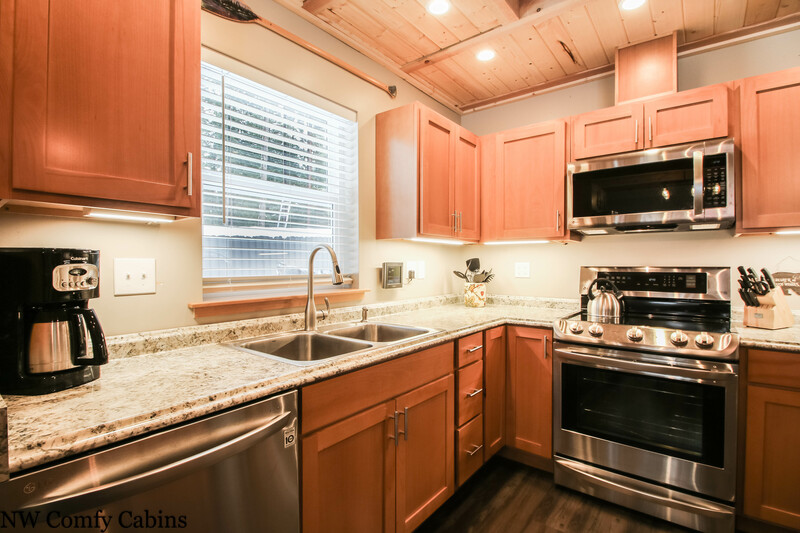 All the luxuries and conveniences we love with the cabin feel. Spotless and easy check in / check out process. Exceeded ALL expectations! Manager response on 2018-04-27 - Response from NW Comfy Cabins Inc. Nature walks, etc. Absolutely comfy, cozy, and worth checking out. Thanks for a great time! 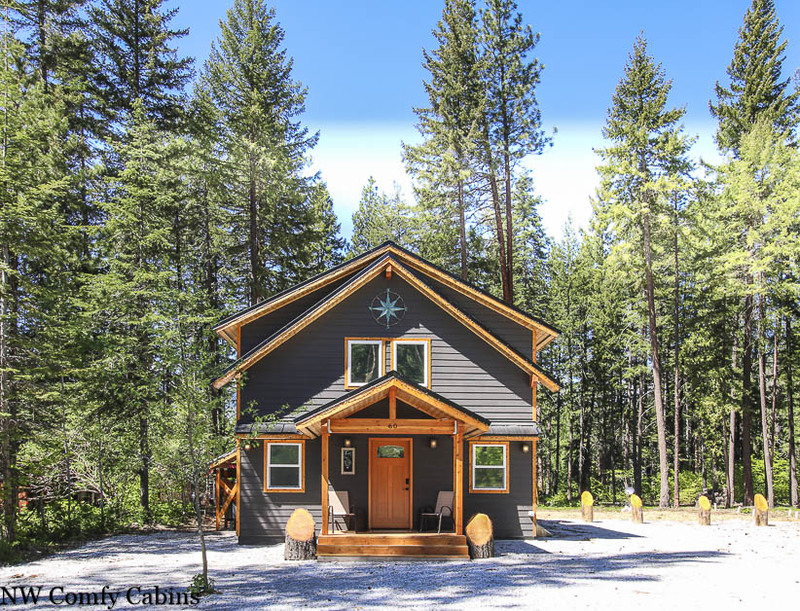 Manager response on 2018-05-02 - Response from NW Comfy Cabins Inc.
Lisa, thank you for giving us your feedback and taking the time to do so. It is always nice to know that we are meeting the expectations of our guests and that they are enjoying the time spent in our cabins. 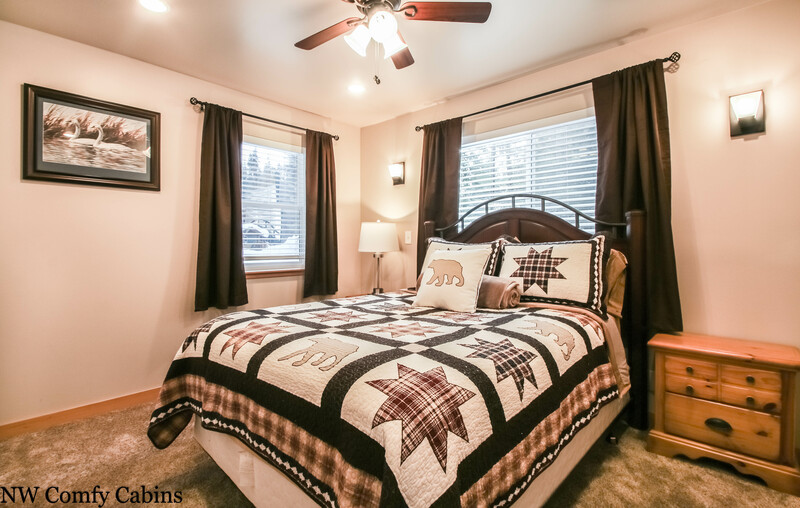 There is nothing like a comfortable bed and a clean place to visit with family and friends when away from home. Memories are priceless and we genuinely want to be a part of helping our guests make memories and enjoy a special getaway. It is how we got our inspiration to do what we do and it is what makes the work worth it. Thank you again and please come back again some time. The cabin was beautiful and well equipped. Very comfortable beddings and everybody had good night sleep. 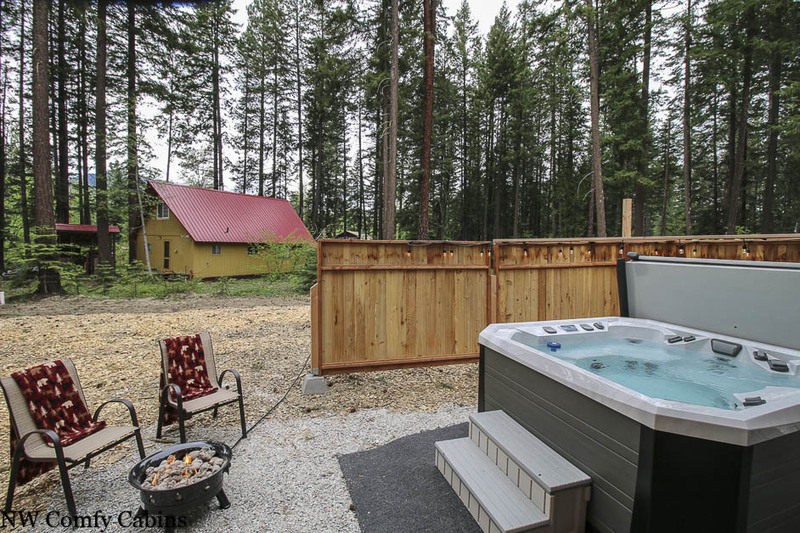 Convenient location to the lakes & Leavenworth. Restaurants recommended by Comfy Cabins were spot on. Definitely would like to come back soon!